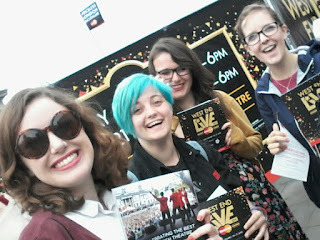 West End Live, an event which boasts of a free weekend of musical theatre in trafalga square, was an event I'd been dying to experience for several years, so when my musical theatre obsessed friends suggested we all take a trip down to London for the weekend I whole heartily agreed! Looking back now, I can't believe we missed it for the past couple of years! There is no better event on a musical theatre lover's calendar! I headed down on the train, met my friends at the station and got into the queue at about 8:40. There were already loads of people queuing at both entrances, but when the gates were opened at just after 10am, we managed to grab a spot about 30 rows from the stage and dead centre! Result! On day 2 due to the fact that we'd stayed overnight in London we were able to join the queue much earlier. In fact, we were one of the first groups of people there. This was fabulous, as when the gates opened at midday we managed to secure a place in the front row, at the very far left of the stage! The view was amazing and totally worth the early start and long wait! We stayed for the whole day this time and witnessed too many wonderful performances to count! 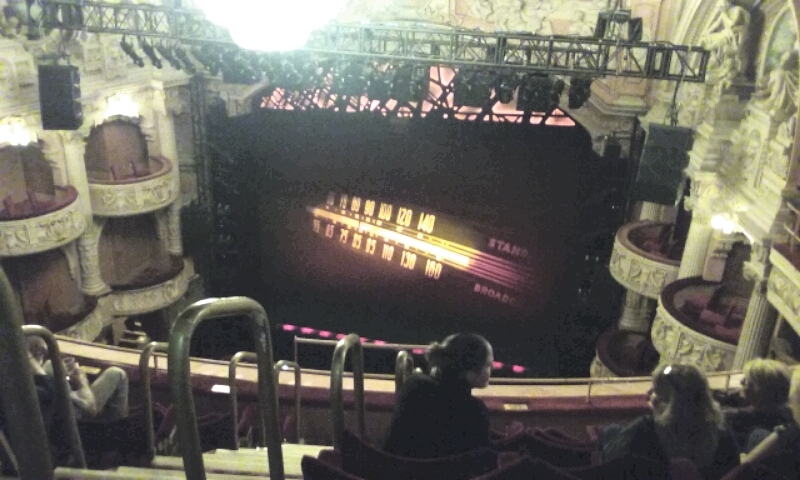 The Billy Elliot number 'electricity' was an incredibly powerful tearjerker (I need to see that show soon! ), Let It Be's The Beatles set was rediculously fun, John Owen Jones made a surprise appearance and the West End Cabaret near the end of the day was wonderful too (Ben Stock and Caroline Sheen's rendition of 'Suddenly Seymour' had me longing for a production of Little Shop Of Horrors which I never knew I wanted). Of course, for me, the best performance of the day yet again came from Memphis. 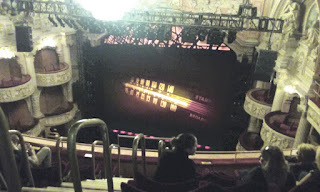 Felicia understudy Rachel John wowed the crowd with a rendition of 'Coloured Woman' which literally brought me to tears! 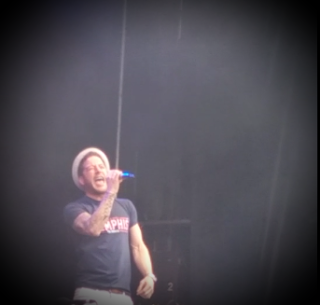 Then we got our very first taste of Xfactor's Matt Cardle as Huey, singing one of my favourite numbers from the show, the showstopping 'Memphis Lives In Me'. I had been sceptical but he really impressed me! He even went for the 'D' at the end if the song! A promising introduction indeed! West End Live ended with an amazing surprise- a Rock Of Ages cast reunion! Host Oliver Tompsett announced that he would be singing 'Don't Stop Believing' from "Flock Of Cages", which was incredible to begin with, and even more so when ex cast members including Natalie Andreou, Nathan Amzi and Simon Lipkin to name but a few joined the stage. The atmosphere surrounding the performance was AMAZING and it really made the end of the event memorable. Sadly, the weekend had come to and end though, which meant saying goodbye to my friends and heading home. Still, the weekend was absolutely the most enjoyable time I've had in ages and I cannot wait to check out some of the shows we caught a glimpse of at the event! I'll definitely be heading down again next year. Can it be June 2016 now, please? 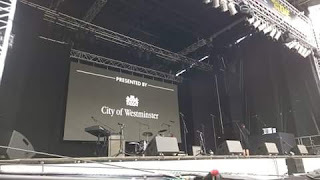 Were you at West End Live this year? What were your favourite performances?